So let me first mention that I purchased this fabric last year at Hancock Fabrics, so if you go looking for it, unfortunately it may not be there anymore, but there are plenty of African or tribal prints on fabric.com that you may love.It took me a year to figure what I wanted to make with because I loved it so much. I wanted to make sure that whatever I made with it, it was going to be something that I would get a lot of wear out of. So after a year of brainstorming, I figured, why not make a shift dress? Shift dresses are perfect for moms because you look easily put together and it's such a classic piece that you can wear for years. I created 2 recently which you may have seen on IG (@cheapbutchic); one with a pattern and one I made without a pattern. 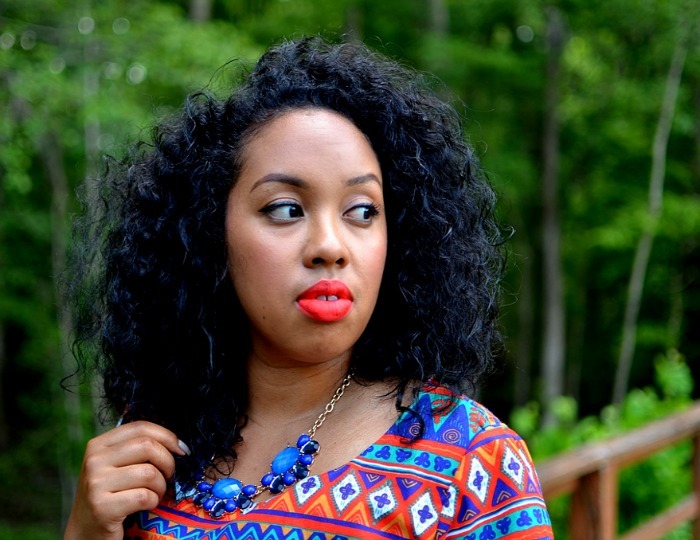 But for this particular shift dress, I did use a pattern and I adjusted it quite a bit. So the pattern I used was Simplicity 1878 from the lisette line. If you look close, you'll notice that the front is two separate pieces; top and bottom. I wanted it to be one solid piece in the front, so I taped the top and bottom pattern pieces together and made sure to include the allowance. I also didn't like the neckline. I wanted something more simple instead if the V shape, so I altered that as well. Now for the front and back pieces of the dress, I wanted the bottom to look more like the bottom of a button-up shirt. I wanted my sheath dress to look & feel like I was wearing my husbands button-up so, I traced the bottom corner of his shirt onto my pattern and that is how I got the bottom to look like a men's button up shirt. I also want to add that I inserted an invisible zipper and two darts in the back. So I love to have fun taking pictures every now and then so when I pictured the photoshoot for this dress, I pictured my self having big hair in the woods. LOL! So, me and my brother made it work and I think they came out fantastic. 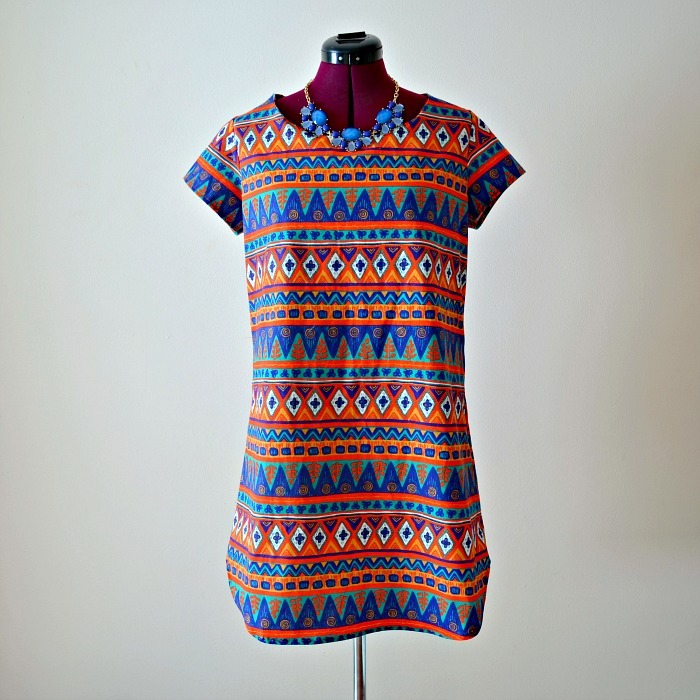 Do you have any plans on making a shift dress this Summer? If so, send me your pictures on Instagram @cheapbtchic or Facebook. I'd love to see. Thanks for stopping by.